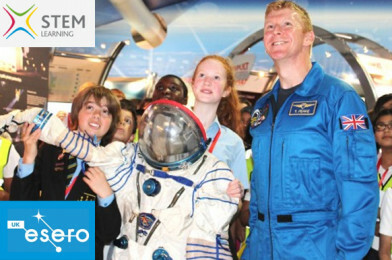 Come and see Tim Peake at this inspiring one-day conference on bringing space into the classroom! This one day conference will show you how to use space as a context across the STEM subjects. ESA astronaut Tim Peake will give the keynote address. You will also take part in hands-on workshops and hear from teachers who have been awarded the Space Education Quality Mark (SEQM).